Stubby Holder Hero is dedicated to supplying you with a range of premium products, printed with the latest technology at a competitive price, backed up with the highest service and quality. We offer you, your club or business a cost effective way to promote or celebrate any event or to economically brand your image in a fun and everlasting way! 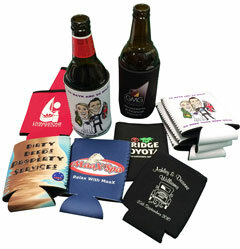 All holders can be printed with your artwork, or our graphic artists can design your stubby holder for you. A clever idea for mail-outs, swing tags, exporting or just putting in your pocket! The stitched seams and 3mm neoprene allow the stubby to pack as a flat panel. The �Flat Pak� is a highly versatile stubby holder.